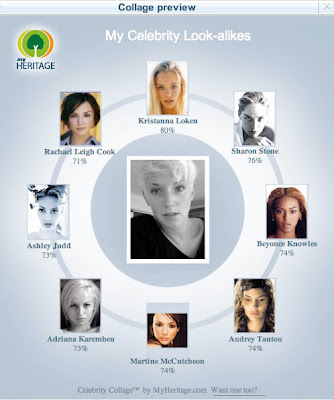 Due to some random web surfing today I came across this fab app that you just have to try. It's from My heritage.com and it's just a bit of fun but if got me sucked in good and proper! 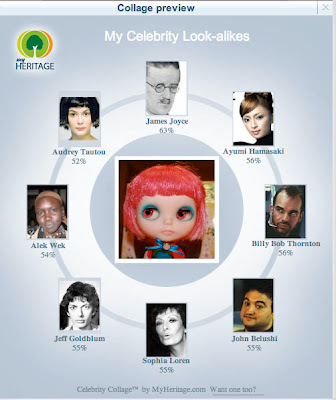 It is a face recognition app that tells you which celebs you look like and it is classic. So here are mine... as you can see I got a tad carried away - but it is so addictive! But what about the blog me..... my Blythe girl Amy Lee? 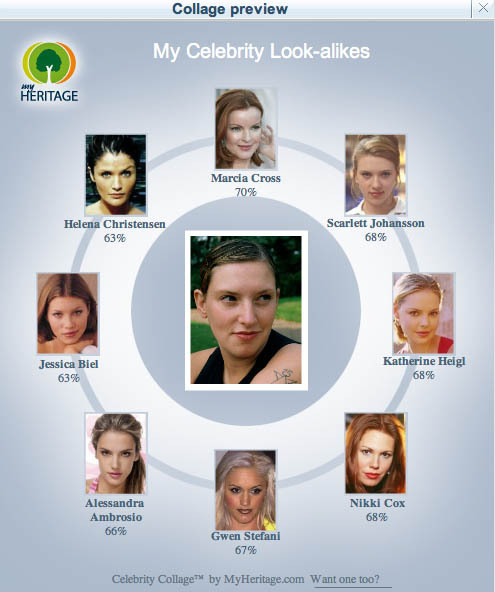 So she resembles a man! OK but on the upside who doesnt want to look like the beautiful Audrey Tautou? This is a brown haired me...... OK so it was taken about nine years ago but that was the very last time I saw my natural colour! Still feeling good that I have a super model in there. 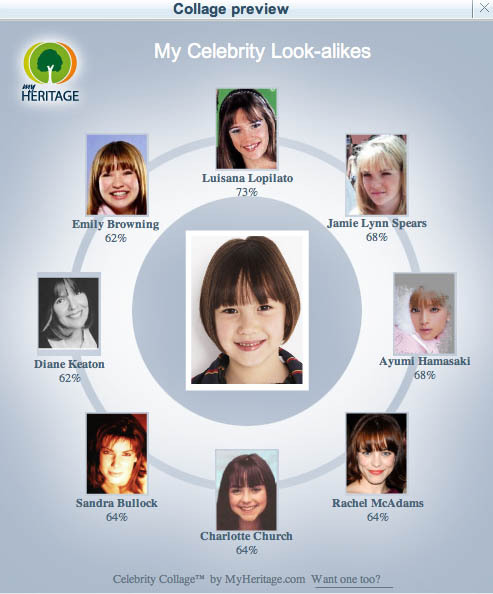 Wow 90%.... perhaps she's Renne Zellweger's secret love child! Dear me... Charlotte Church..... lets hope she can sing like her! I can't wait to see who you all look like! Brown haired you looks like Toni Collette! Is Rhona Cameron not on their database? What a wonderful app! Off to have a look now! Have posted my own! http://www.singlemummy.net/2010/05/celebrity-lookie-likey.html - Thanks for the suggestion!